Stunning Tudor-style home in Westlake Village. 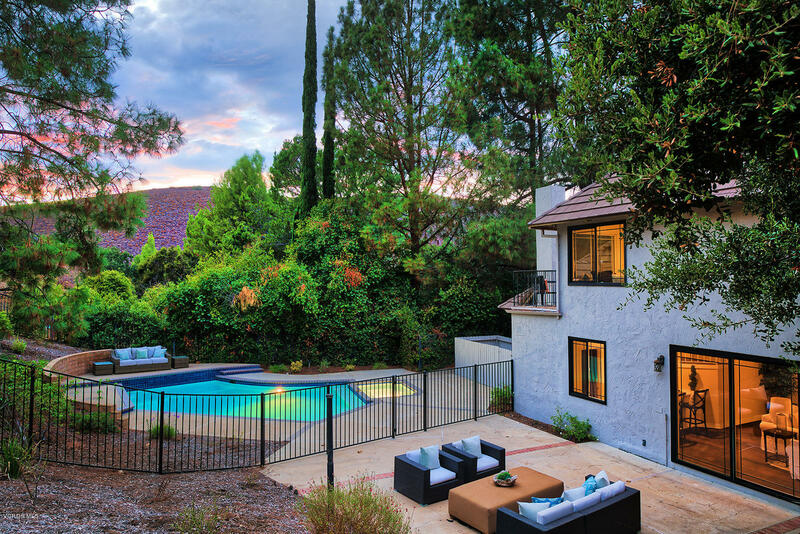 Located on a cul-de-sac, this private lot features an incredible 2.86 acres, and a sparkling pool and spa. Beautiful windows throughout lets in an abundance of natural light. The spacious master suite has a fireplace and a private balcony that overlooks the pool. The master bathroom has a luxurious tub with great counter space, a beautiful tiled shower and two separate vanities. Located in the award winning and highly acclaimed Conejo Valley SchoolDistrict. Take advantage of the North Ranch lifestyle with nearby hiking, golfing, restaurant, and shopping. Westlake Village is calling- make it home, today!